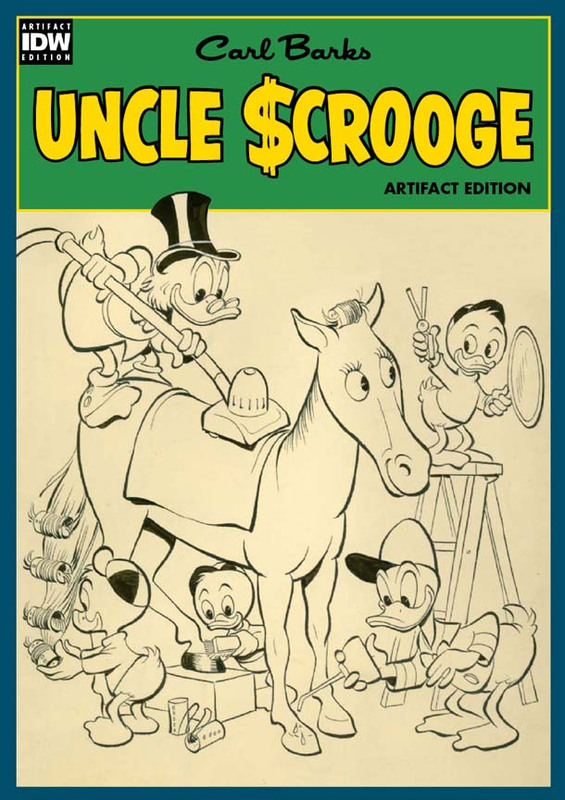 Beside the monthly series, the announcement also mentions IDW’s award-winning Artist’s Edition line, which are over-sized collections showcasing original artwork reproduced at full size. 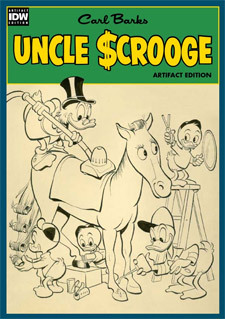 The publisher will be producing some new deluxe Artist’s Editions featuring artists like Carl Barks and Don Rosa, with original art, signature plates, and unique display designs. In addition, the Micro Comic Fun Packs that IDW launched this year will also be expanded to include Disney’s properties. These small packs contain mini comics, stickers, posters and more. This is all very exciting. Are you looking forward to IDW’s new line of Disney comics? This entry was posted on Friday, October 17th, 2014 at 9:53 pm	and is filed under Publishers, United States. You can follow any responses to this entry through the RSS 2.0 feed. You can leave a response, or trackback from your own site. First, nice to see an entry on your blog, Arthur! Not that there’s been much to write about new US Disney comics, which has been nothing short of an oxymoron for the past few years. For me, who will, I am quite certain, not have the budget for these Artifact and Artist Edition, the proof will be in the other titles vaguely promised. I am unfamiliar with the “Micro-Comics”, so cannot really comment on those. If IDW can provide a decent monthly assortment without being overwhelming *and* manage to capture the interest of a younger generation (which at this point may be nearly impossible), then this might have half a chance. I’ve had my Disney comics hopes burnt a few too many times over the past 30 years to be overly enthusiastic now. Well, I guess Disney comics will always have a place into many people’s heart: as far as great stories go, they will neither disappear for good nor find no public willing to read the greatly-written and drawn stories they have to offer. So, it’s great to learn they’re alive and kicking well into this promising century of ours. Its nice that Disney Comics had returned back. I love Disney comics as everyone do. 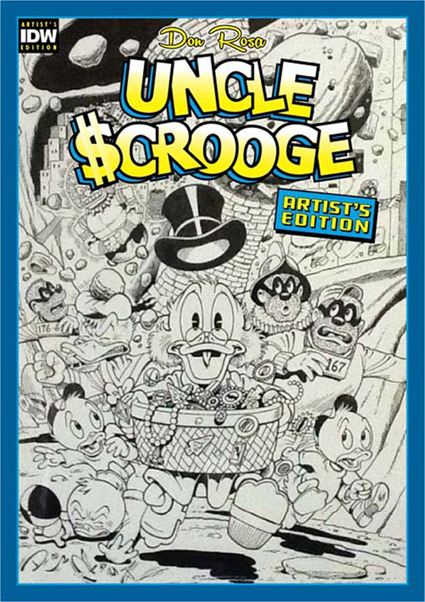 Cute characters, Donald Duck, Heuy, Louie, Dewey, Uncle Scrooge and so on. Can’t wait to purchase new publications.